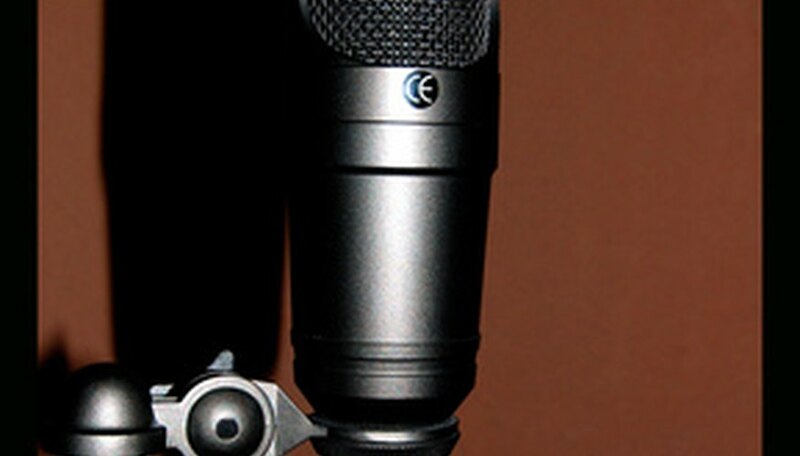 Condenser microphones are widely used for professional recording, radio broadcasts and some live music applications. Also called "electret condenser" microphones, they differ from dynamic microphones in the way they convert electrical energy into sound, by using a vibrating diaphragm charged with electricity, rather than a diaphragm connected to an electro-magnet. The difference in design makes condenser mics more delicate, but more sensitive to sound. In order for the condenser diaphragm to be charged and operate, it must be connected to an external device to provide the necessary power. Dynamic microphones do not require external power. Plug one end of a standard microphone cable into the microphone, and one end into the input of the mixer or microphone preamp. Many mixers and almost all microphone preamps are equipped with 48 volt "phantom" power for compatibility with condenser mics. If you are not sure if your mixer or preamp has phantom power, consult your owners manual for details. Plug one end of a second microphone cable into the mixer or preamp's output, and into the power amplifier, speakers or recording device (depending on your particular use and equipment layout). If you are using a computer audio interface, many of these units double as a preamplifier and phantom power source for condenser microphones, and are connected to the computer with a USB or Firewire cable from the interface's output. Consult the interface owner's manual for proper computer connection. Turn on the preamplifier or mixer, and press the switch to activate the phantom power. Your condenser microphone is now ready for use. Some condenser microphones for live music use require special batteries instead of phantom power. Consult your owners manual for details. Condenser mics for live use are designed to be more rugged than studio or broadcast microphones, but care in handling, use and storage should still be exercised. Condenser mics are highly sensitive to loud sounds, and should always be placed 8 to 12 inches from any loud sound source for best results. Always turn down all volume levels on the mixer, preamp or interface before turning the phantom power on. After the phantom power is activated (usually indicated by an LED light) you may then adjust the volume. Microphone damage may occur if the power is turned on while volumes are turned up. Condenser microphones are extremely sensitive to the environment, especially moisture and dust. The use of a windscreen or "pop" filter is highly recommended, and is used by professionals. Avoid dropping the microphone, and place in a safe, dry area when not in use. Failure to follow these procedures may result in microphone damage.